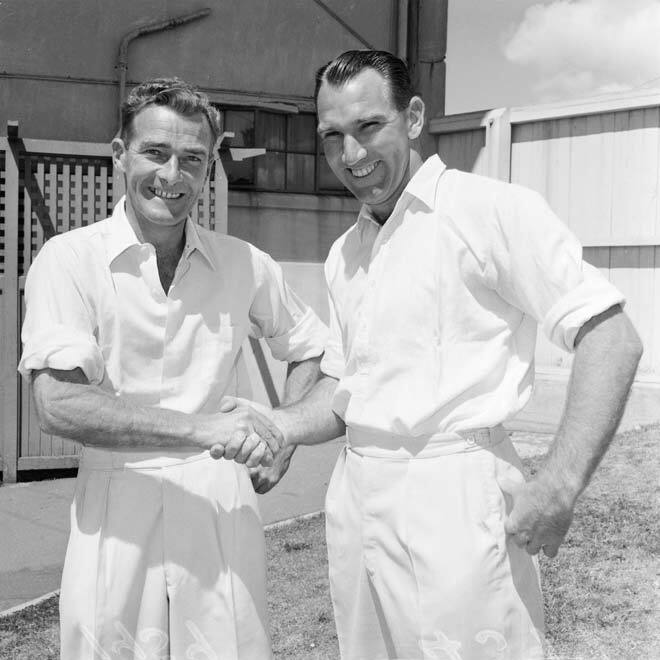 Bert Sutcliffe (left) and John Reid shake hands before a Plunket Shield match between Wellington and Otago at the Basin Reserve. They were two of the greatest players in provincial cricket history. Sutcliffe, a brilliant left-hand batsman, scored the two highest innings in provincial cricket (385 and 355), while Reid, also a useful medium-pace and off-spin bowler, had the fifth highest innings of 296.